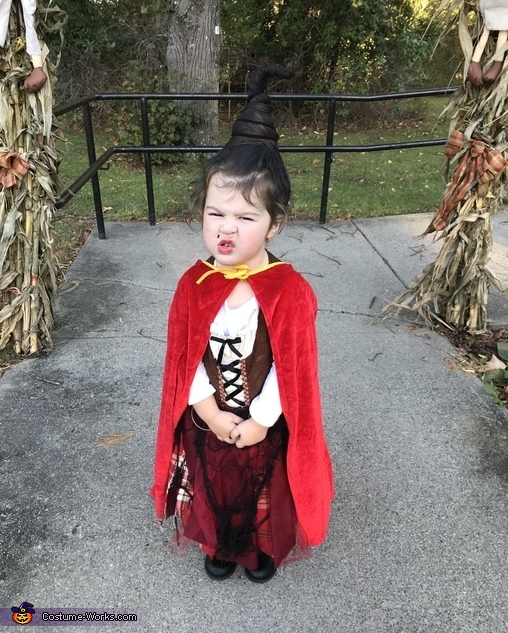 I dressed up my daughter as Mary Sanderson from her favorite movie, hocus pocus. Her hair is up with a small water bottle and bent copper wire. The costume was purchased as a peasant costume and with added fabric, webbing and cut up table cloth, transformed into Mary’s dress. Also, bought a red cape.